There's a new weapon available in the fight against IRS call-back scammers. 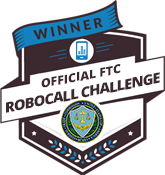 We're confident that we can help put an end to one of the most notorious and dangerous robocalls of all time. Fishel a final notice from the I R S This message is to inform you that I R S is filing the legal warrant under your name and your tax id for the tax fraud and the investigating team of our department is investigating you and your family we had tried to notify you regarding these issues in previous 6 months but we had never got a response from you so it has been considered as an intentional fraud and a lawsuit has been filed under your name by the United States government you may call our department number 844-301-1209 I repeat it's 844-301-1209 thank you. Nomorobo is currently tracking 12,780 IRS Scams. Reload the page to hear another one. Why aren't they being stopped? Why do robocalls continue to bombard our phones? Well, stopping robocalls is very different from fighting other types of fraud. Scammers exploit weaknesses in the phone system and use all sorts of dirty tricks, like spoofing, to fool you into answering the phone. Criminals used to rob people with guns. Now they use a telephone. The problem is that the phone network is designed to make sure that every call gets connected. Stopping any call, even an illegal robocall, requires the biggest change in thinking since the telephone was invented almost 150 years ago. 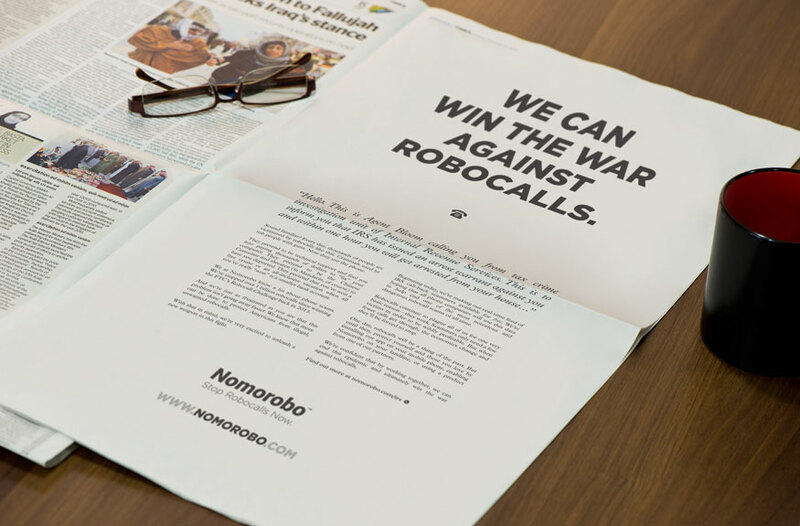 Even with all the progress that we've made (we've stopped over 1 billion robocalls! ), we're still just as frustrated as you are that this problem isn't going away faster. And that's why we're making our real-time feed of IRS call-back scammers available for free. We're encouraging all phone companies to use this data to immediately shut down these scammers. Robocalls continue to plague all of us for one very basic reason-they work. Scammers only need a few victims in order to be wildly profitable. But when fewer calls get through, the economics change and they'll be forced to stop. If you're a carrier that wants to stem the tide of robocall scammers, please fill out the form below to get access to the real-time data. It's free and there's no strings attached. Want to do even more? Our full blacklist of over 1.4 million known robocallers is available via data license and API. Drop us an email if you want to learn more. Join these forward-thinking companies that know that robocall blocking isn't just a nice-to-have feature, it's a requirement. Carrier or individual, we want to help you stop IRS scammers cold. How do you want to join the fight? Fill out the form below to get instant access to the up-to-the-minute scammer data file. No charge for landlines. 14-day free trial for mobile. Only $1.99/month after that. Cancel Anytime. ...or you can get revenge with an app.